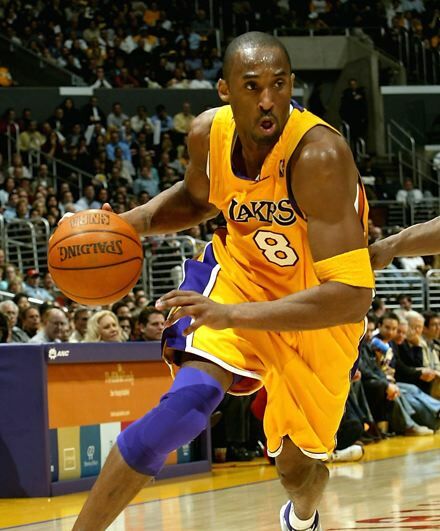 Kobe Bryant of the Los Angeles Lakers is the king of the NBA, no doubt about it. Five NBA championships, 2-time NBA finals MVP, 1-time NBA MVP, 13-time NBA All-Star, 12 consecutive seasons as an NBA All-Atar, 2 Scoring Titles, 10-time All-NBA First Team, 9-time NBA All-Defensive Team and current NBA leading scorer. He has done it all in his career, he has done it all for the Los Angeles Lakers and he still does it all right now. Even as the miles continue to pile up, his numbers never seem to fade off at all. Kobe is in his 16th season straight out of High School, playing in the NBA since the age of 18, all with the Lakers, who have made it to the playoffs every season but one since Bryant joined them back in 1996. Kobe may still the king of the NBA, however as for fantasy basketball there is a new king, LeBron James of the Miami Heat.Numbers don’t lie, and NBA championships don’t matter to fantasy owners, only fantasy points do. 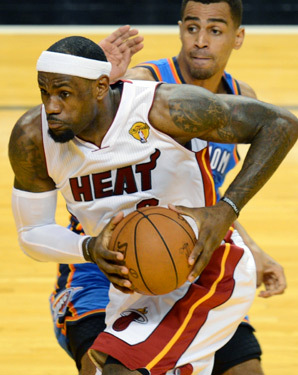 LeBron James, of the Miami Heat has been the king of kings this NBA fantasy basketball season. Comparing the numbers between Kobe and LeBron is like comparing two different 5 carrot diamonds, its a privilege. Bryant is averaging 29.3 points, 5.8 rebounds, 5 assists, 1.2 steals and .3 blocks per game this season. James is averaging 27.9 points, 8.2 rebounds, 6.9 assists, 1.7 steals and .7 blocks per game. LeBron is statistically the best forward in the NBA and the best player on the Miami Heat. Kobe is statistically the best guard in the NBA and the best player on the Los Angeles Lakers. The bottom line is LeBron has been averaging 2 more assists and 2 more rebounds a game than Kobe. James is also averaging more in 4 out of the 5 major statistical categories than Briant is. Love, like or hate him, LeBron James is the best fantasy basketball player in the NBA, and that’s the bottom line, cause the numbers say so. Men Lie. Women Lie. Numbers don’t. For the Macy’s Fashion Star Premiere Party Nicole went with a beautiful gown by Julien Macdonald! This is not the first time Nicole has been spotted in Julien Macdonald’s designs, previous looks include the Golden Globes and the MOCA Gala. Vera Wang wedding dresses have always been something that a lot of women, especially brides to be, would want to wear for their wedding. 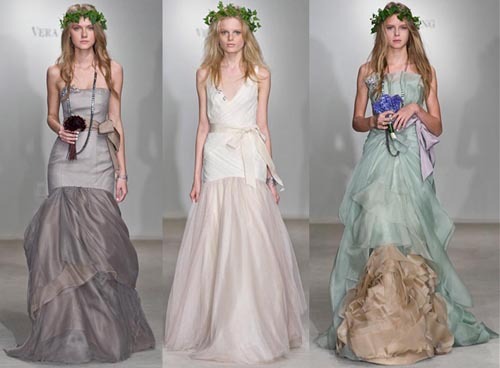 Dresses designed by Vera Wang have been synonymous to a rare balance of quality, style and elegance. Although Vera Wang designs a lot of gowns for various occasions, there is something about her wedding gowns that have made a difference and made the designer rise in the ranks of the world’s most sought-after fashion designers. Vera Wang wedding dresses have unique designs and intricate workmanship, owing to simplicity and elegance of the beadwork, layering and other details in them. The elaborateness of Wang’s dresses usually presents the user’s body in a very flattering light. There are so many occasions where Victorian ball gowns have become a necessary requirement. Moreover, because of the uniqueness of the designs of Vera Wang wedding dresses, they seem to be always a perfect fit no matter what theme the wedding may have, from Mardi Gras-types, beach weddings, Medieval, garden, Victorian and even more formal settings. Because of their popularity, Vera Wang wedding dresses are much sought-after garments that ladies wear at what most of them consider to be the most important occasion in their lives.